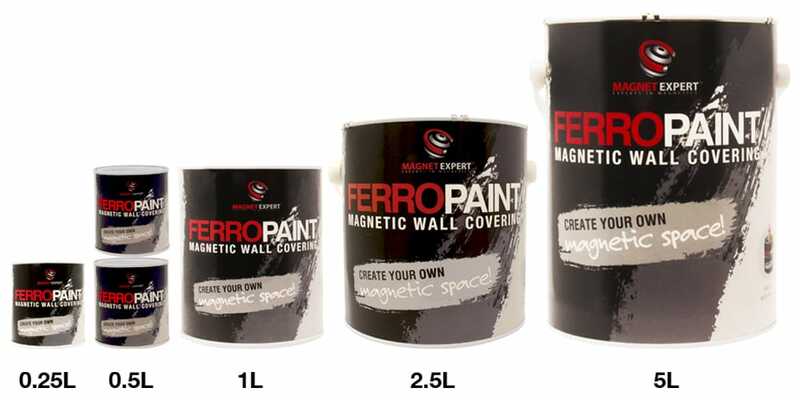 FerroPaint® by Magnet Expert, is a revolutionary blend of paint and fine iron particles that once applied to walls, doors or furniture, creates a ferrous surface that magnets will attract to. It’s best used in homes, offices and schools to create an engaging space that you can interact with! Magnetically attract your favourite photos, marketing POS or pupil’s artwork in various walks of life. But how is FerroPaint® best applied? To further help our customers, we have produced a FerroPaint® brochure that you can access online whenever you need it. Download it too and keep a copy on-hand! Click here to access the brochure. FerroPaint® leaves a strong matt finish on your surface, but remember, you can paint over it with your own emulsion to blend it in with the surrounding area. 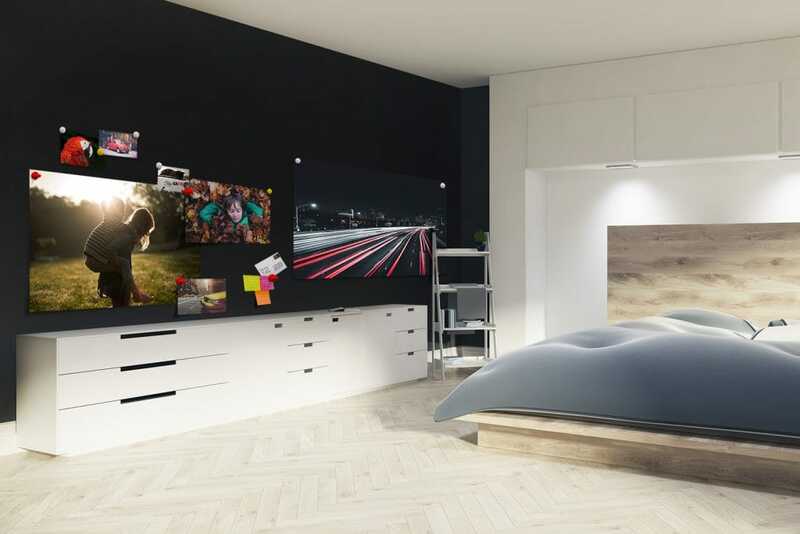 Once it’s dried, utilise the surface to your heart’s content with posters, postcards, notes, photos and more! If you haven’t yet shopped for FerroPaint®, or need to re-stock, choose your tin size and quantity on our product page and simply add to basket. However, if you have any questions, please contact our Customer Care Team on 0845 519 4701 or email sales@magnetexpert.com.